While in a church office sorting through a worn cardboard box full of VHS tapes (big, black plastic rectangular boxes with film inside) I stumbled upon an unopened, still sealed in plastic-wrap VHS titled: mental illness and the church. The creators of this resource were decades ahead of their time (so much so, that the tape didn’t get used). But things have changed. In March of 2014, mega church pastor Rick Warren hosted the largest gathering ever on the issue of mental illness and the church. Warren’s young son died from suicide over a year ago and now the Warren family have launched a mega mental health ministry. Over 3,000 people attended the inaugural event in person at the Saddleback Church campus and thousands more participated online. This is a sign that people in the church are ready to talk about mental health. We are ready to remove the plastic-wrap and insert the VHS tape into the VCR. The sacred conversation about mental health unfolds as we enter Holy Week. Holy Week is a time of extremes; it’s bipolar cycling in the liturgical year. First, we have the triumphal entry of Jesus into Jerusalem. He is a peasant-king, riding a young donkey. Jesus is judged by city authorities to be delusional and mocked by the religious elite. Jesus’ behavior is odd and erratic. Yet those who love him are ecstatic. Second, within days of the palm branches and cloaks lining the street, Jesus is betrayed by his own friend, arrested and sentenced to death. Third, Jesus is executed and the mocked peasant-king dies between a thief and a criminal. Jesus’ once adorning fans either wept at the cross or ran away. Finally, Christian tradition proclaims that after Jesus’ death on the cross and burial in a garden tomb, the next morning he emerged alive. Holy Week cycles us through extreme scenarios of manic depressive proportions. Bipolar disorder (to put it simply) is a mental health disease where a person cycles back and forth between episodes of depression and mania. I have family members with bipolar disorder and they experience a full range of very low and very high moods. My brother spent weeks thinking about jumping off a rooftop, and then spent weeks planning travel to exotic places. My father, a veterinarian, went long stretches without sleep, performing surgeries on small animals at night, then slept for days. This week, millions of Christians will hear the story of Jesus’ last week. It’s the unofficial “be extra kind and forgiving of your pastor” week, too. In a seven day period, the worship services of Palm Sunday, Maundy Thursday, Good Friday and Resurrection Sunday will cycle through the jubilation, devastation, and elation of Jesus’ life, death and resurrection. In the same seven days, church sanctuaries will cycle through decorations: adorned by palm branches, shrouded in black and finally illuminated by lilies. Imagine what it is like for people with bipolar disorder who experience this kind of rapid cycling of moods all of the time. The cycling of mental illness can feel like Holy Week. It can feel like you are the king of kings one day, surrounded by friends, then cut off by everyone and crucified the next. 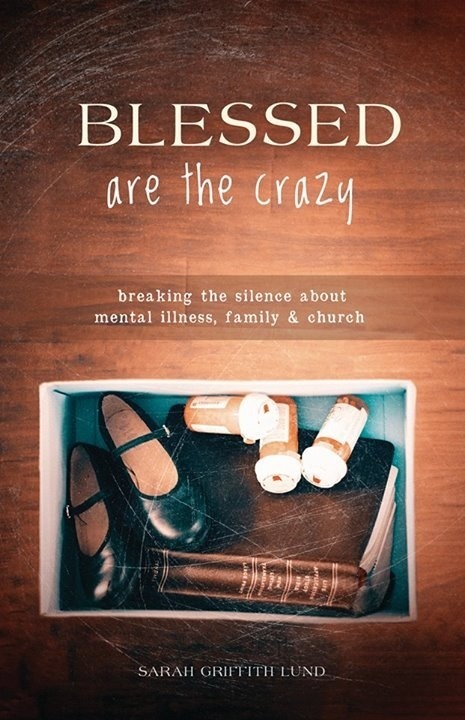 If now there is a place in the church for open and honest conversations about mental health, then I wonder if there is a safe place in the church for the people with mental illness and their families to be open and honest, too. We can make room at the foot of the cross and around the Lord’s table for everybody and everymind. We can make room at the altar, we can make room in the pulpit, and we can make room in the pews for emotions that are deep and wide and buried deep inside. My father died seven years ago. I recall his frequent emotional outbursts in church, how his brown eyes were often wet with tears as we sung hymns our grandmothers taught us. Perhaps my father wept because in Jesus of Nazareth, he saw himself: a child of God cycling through life, death, and resurrection, again and again. While sorting through my father’s important paperwork we found a certificate of first holy communion dated Easter Sunday, just two months before his death. A Presbyterian by birth, I assumed that he remained a Protestant until the day he died. This was a surprise. Yet here was evidence that my father found God in the Catholic Church. Or perhaps he found community there, a harder and holy thing to find, a place that welcomed his cycling mind; a place that made sacred space for his bipolar hallelujah.